The application deadline is January 15 for August admission. NOTE: UMass Amherst is NOT able to offer immigration sponsorship for applicants to this program who are not U.S. citizens or permanent residents. The Accelerated BS in Nursing is a full-time program that allows students to earn a BS in Nursing in 17 months. This option is open to students who have completed bachelor’s degrees in other disciplines. The Accelerated BS in Nursing begins each August. Tours of the Springfield Center: Tours of the Springfield Center are on hold and will resume in mid-April 2019. Note: Tours are for prospective students who are thinking about applying to the Accelerated BS in Nursing program. Accepted students will have an opportunity to see the facility at their welcome reception and/or their new student orientation. Parking: On the day of your tour, you may park in the Tower Square parking garage or in a metered spot on the street. The UMass Center is located on the second floor of Tower Square. In the elevator, select floor “UL” which stands for “upper Level”. Please always come prepared with your questions as the tour itself will take only about 10 minutes. Note: Please direct questions about the admissions process to the Online Education Admissions Office: admissions@oe.umass.edu. 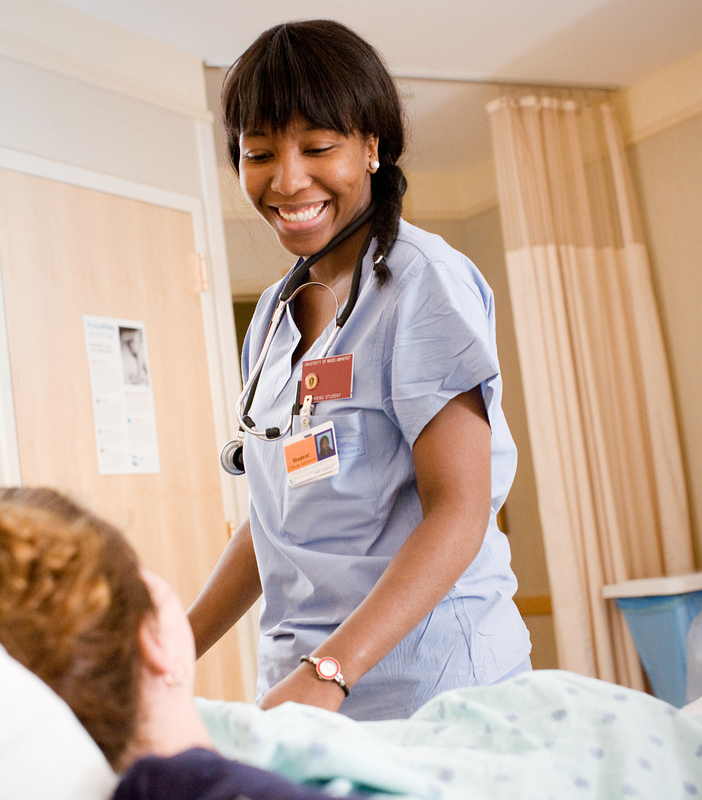 Click here to request information about the Accelerated BS in Nursing.